Optimal layout and flow process for your operation. A pick module is designed to optimize the flow of multiple orders. 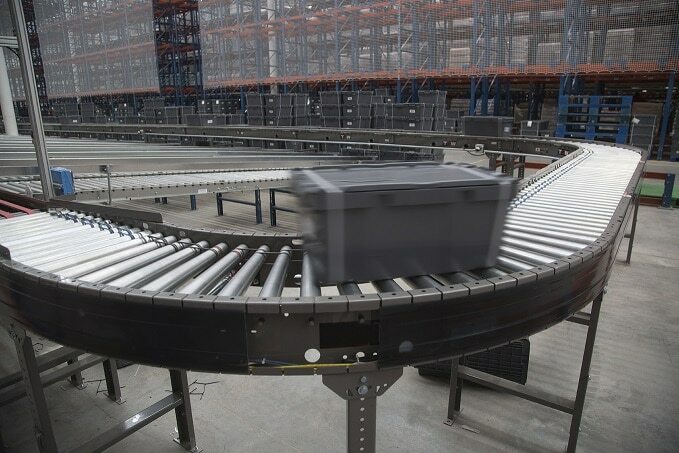 They utilize various rack components integrated with a variety of other material handling solutions to move product efficiently through a warehouse or distribution center and expedite the order fulfillment process. A pick module can be designed for manual pick applications, automated pick applications, or a combination of both. 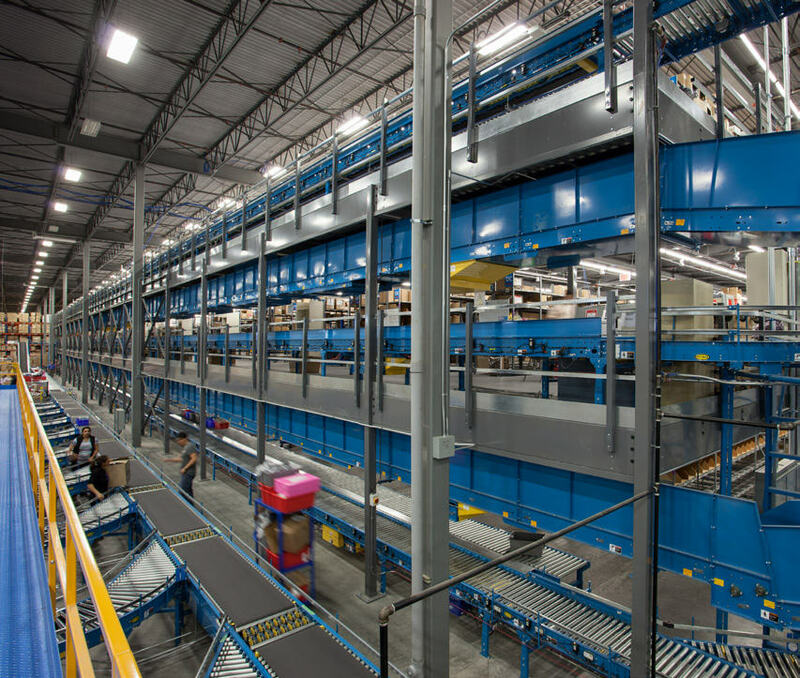 These integrated systems consolidate space and create an efficient warehouse, reducing or eliminating walking time, and saving on labor costs. Engineered designs can include push back rack, pallet flow rack, carton flow rack, selective rack, mezzanines, conveyors, and other material handling products to produce the optimal layout and flow process for your operation. 1. Rack Structure/Mezzanine: Rack uprights, beams, and decking/flooring designed to structurally support all aspects of the pick module. 2. 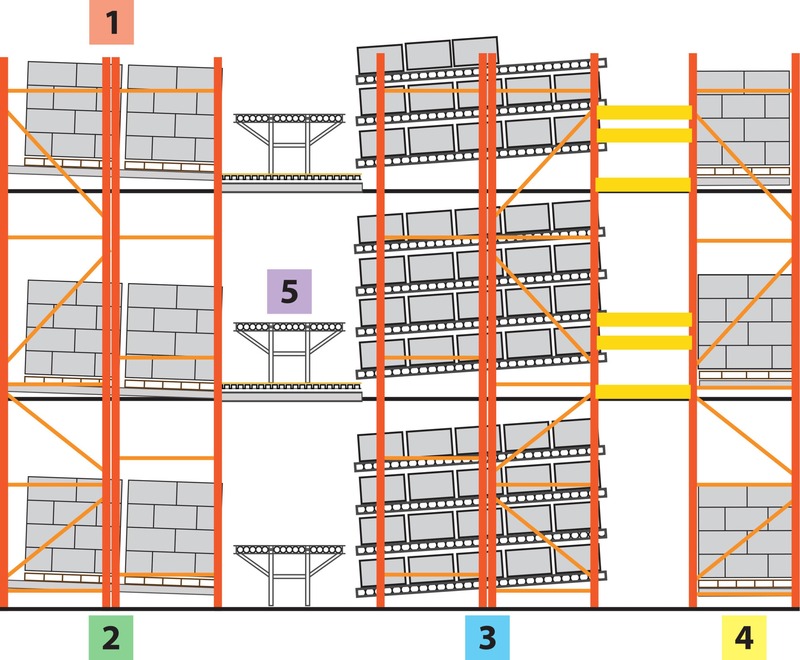 Pallet Flow: First-in/first-out storage for full pallets or case pick. 3. Carton Flow: Provides broken case storage and picking. 4. Selective Rack: Used to replenish the pick locations. 5. Conveyor System: Facilitates the flow of picked products to various locations. DO YOU NEED A PICK MODULE? If you need a Pick Module system, we can help. We've been creating pick modules for more than 50 years.